The Erie SeaWolves, in collaboration with their parent club the Detroit Tigers, have released the club's 2019 Opening Night roster. The starting rotation features five right-handed pitchers with experience at the Double-A level. Four of the five have experience with the SeaWolves. Detroit Tigers number two prospect Matt Manning returns to Erie, where he made two starts at the end of 2018. Manning was the Tigers first round selection (ninth overall) in the 2016 draft. Manning is rated #53 on the MLB.com Top 100 Prospects list. Joining Manning will be Tigers number four prospect Alex Faedo. Faedo was Detroit's first round selection (18th overall) in the 2017 draft. Faedo made 12 starts with Erie in 2018. A.J. Ladwig, who has spent parts of the past two seasons with Erie returns the rotation, along with Spenser Watkins and Logan Shore (Tigers #17 prospect). Shore was a second round selection by Oakland in 2016 and was acquired by the Tigers in September 2018, completing the trade that sent Mike Fiers to the Athletics. The eight-man bullpen features a wealth of experience with seven of the eight pitchers having experience at the Double-A level or higher. Returning to the SeaWolves in 2019 will be righties Nolan Blackwood, Drew Carlton, Anthony Castro, John Schreiber and Mark Ecker. The bullpen has two left-handed relievers in Trent Szkutnik and Nick Ramirez. Szkutnik spent time with Erie in 2018 while Ramirez joined the organization as a free agent. He spent time with both Double-A Biloxi and Triple-A Colorado Springs in 2018. RHP Eduardo Jimenez (Tigers 40-man roster) rounds out the bullpen. Jimenez spent last season with Class-A Lakeland. Catching duties will be handled by Jake Rogers (Tigers #12 prospect) and Chace Numata. Rogers, who was acquired in the Justin Verlander trade with Houston, led the Eastern League in 2018 by throwing out 50 of 90 (.556) would-be base stealers. He set the franchise record, previously held by Mike Rivera (48 in 2001). Numata was originally a 14th round selection by Philadelphia in 2010 and spent last season in the Yankees organization. 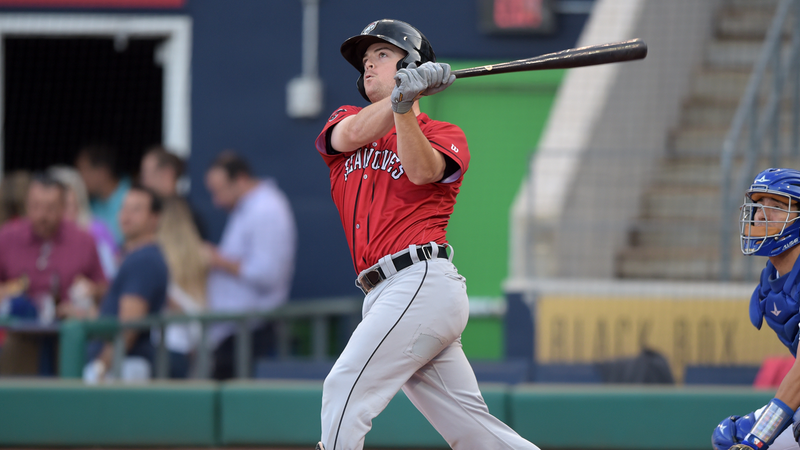 The outfield includes two returning players and a pair of Double-A rookies. Derek Hill (Tigers #28 prospect) was Detroit's first round selection (#23 overall) in the 2014 draft. He spent last season in Lakeland. Jose Azocar (Tigers #19 prospect) also spent last season with the Flying Tigers. Troy Montgomery (Tigers #29 prospect) and Cam Gibson both return to the SeaWolves after splitting time between Erie and Lakeland in 2018. The infield features five returning players and one rookie. Sergio Alcantara (Tigers #21 prospect; 40-man), Josh Lester and Will Maddox all return after spending all of last season with the SeaWolves. Isaac Paredes (Tigers #13 prospect) and Kody Eaves also rejoin Erie. Paredes spent time with both Erie and Lakeland in 2018 while Eaves spent time with Erie and Toledo. Daniel Pinero, the Tigers ninth round selection in 2016 out of Virginia, joins Erie after spending all of last season with Lakeland.